“You Are Here”, a site-specific storytelling project by Amelia Marzec (MFA Design and Technology, 2005), Sarah Grant, Susan McGregor, Dan Phiffer, Benjamen Walker, Hilary Brueck, Dasha Lisitsina is profiled by Columbia Journalism Review. 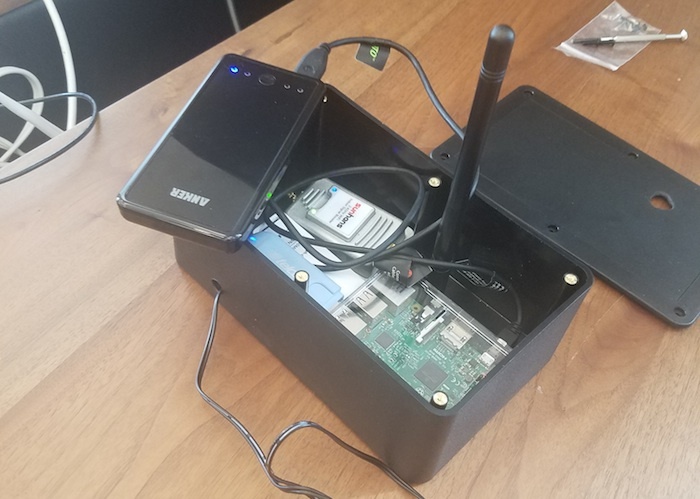 Consisting of a Raspberry Pi, wireless antenna, Wi-FI signal amplifier, and battery, “You Are Here” creates offline wireless networks in public and semi-public places. The project enables audiences to connect to offline networks via mobile devices, access site-specific content, and generate independent and personalized content for future visitors. Participants can share their stories in the form of audio messages and access site-specific audio stories produced by team member Benjamin Walker. After around one year of design process, the team tested “You Are Here” at two public locations in NY; Tompkins Square Park in the East Village and the Highline in Chelsea. Team member Susan McGregor describes the internet as a centralized and fragile system which can be blocked by natural catastrophes and external human factors. She also emphasizes that governments have the power to manipulate internet access and unexpected cyberattacks can cause a loss of internet connection. When the internet is inaccessible, public can not access the information. Therefore, the project aims to maintain the connection between people and resilience in such circumstances, and it becomes an open-source, offline wireless system through an independent web server that could be used to engage audiences with community-oriented news content. The You Are Here hardware and software is entirely open-source. You can find all the instructions (including hardware recommendations and software downloads) on GitHub at: https://github.com/TowCenter/YouAreHere.